Did you mean: danger girl gi joe 3 2012 (12 items)? 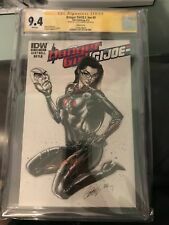 J. Scott Campbell "Danger Girl, G.I. Joe, Lady Death", Etc. Comic Book's! 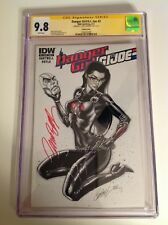 Danger Girl GI Joe #3 Variant CGC SS 9.8 SIGNED J Scott Campbell IDW G.I. Danger Girl / G.I. Joe TPB (2013 IDW) - Excellent Condition! This page was last updated: 18-Apr 06:02. Number of bids and bid amounts may be slightly out of date. See each listing for international shipping options and costs.